ShortScale :: View topic - I didn't know Orange Made Guitars? I didn't know Orange Made Guitars? Posted: Wed Jan 18, 2017 7:14 pm Post subject: I didn't know Orange Made Guitars? Bass guitars are guitars too..
Do not want Tangoed guitars. Quite like them, but with my Orange stack I'd look a right fanboi bellend using one of these. I dunno if anyone would be bothered about that. People play Fender guitars through Fender amps all the time...the colour would be a bit of an attention-grabber though, admittedly. "LADIES AND GENTLEMEN, WE HAVE REACHED PEAK ORANGE." Cheap guitar but I still like it.Well,I like the color really...and the orange fret markers. I saw one at GC for $85 and I have a $20 coupon. orange makes guitars? rad, i was just saying the other day there aren't enough overpriced les paul clones. Orange are an amp legacy brand though... Fender really broke the mold when it came to amps, electric bass guitars and electric lead guitars, and all 3 are thoroughly-distributed industry standards. You have to go out of your way to have an Orange amp and guitar combination, and it's doubtful that many who don't own an Orange amp of some sort will ever want one. I love the color orange and always wanted an orange electric guitar. Just not these ones. I still like it. 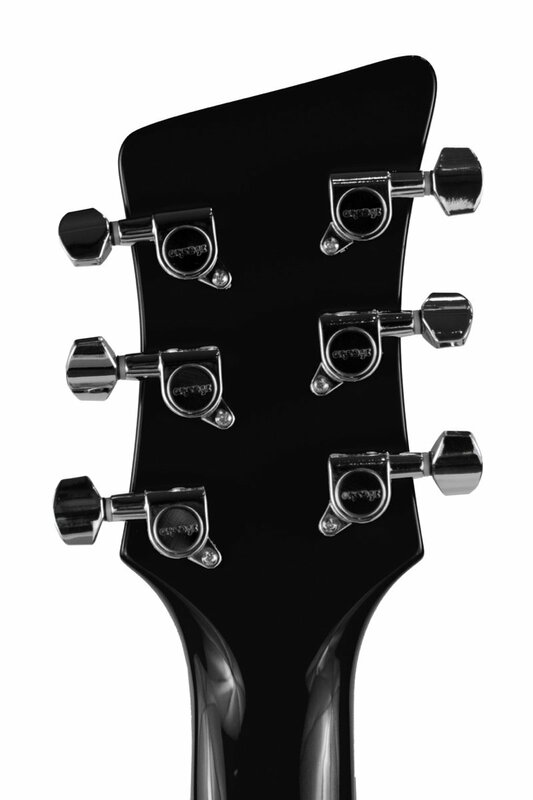 The headstock looks like a backwards Rickenbacker. From what I have read these are pretty good guitars,equal to or better than similar Epiphone guitars. I think that these were made for Orange at the same factory that makes their O-Bass. I like the 2 tone and 2 volume knobs and the pickguard classic Special look better than the way Epiphone makes all the current Specials(like my P-90).And I like the Tune-o-matic bridge too.I bought this one below for $65. I really like the bigsby one and it looks like it might be fun. Yeah it looks pretty cool.Unfortunately that guitar is a "one-off" made for a music trade show in Germany. I think they're shite and gimmicky looking.